How about giving your feelings another shake? Rattle them in any direction—a new one. If it turns out to be the wrong direction you can correct that later, but just move them, any which way, get them out of the rut they’re in. One way to do this is by talking it through, even more than you already have. Perhaps something remains unsaid for you, even now. Perhaps that’s why your feelings remain so strong. Or perhaps they’re entangled with non-relationship issues—a sense of getting older, time passing, concern about not having children, or the life you hoped for. Perhaps part of you holds out hope you could get back together again. Perhaps you need to admit that and let go of it. Maybe you fear you won’t meet anyone else like your ex. You won’t, but you will meet someone. Just they will be different. I attended a few counseling sessions a year after the end of a relationship. It had been a long, happy relationship that had started in my early twenties, but it burned out as our lives took us in different mental and geographic directions. For the year after the breakup I got on okay with life, but the shine had gone. A veil hung between me and true engagement with the world. I could smile but the smile never went to my eyes. I honestly thought I had done all the talking I could at the time of the breakup—my ex and I had even attended couple-counseling together—but a year later, something still felt stuck in my chest. So I sat myself down in front of a counselor. I didn’t want to or feel like it, but suddenly all this stuff came out of my mouth—stuff I found laughable or which fell away as I said it, stuff I didn’t know I’d been thinking. Apparently, it just wanted to get itself off my chest. And it had needed a year to mature sufficiently to do it. I kept apologizing to the counselor for talking endlessly and not letting her get a word in. But it worked. I realized I was over the relationship, but not the process of its ending—the fatigue, the accusations, the indecisions, the reverberation among friends and family. I was suffering a lingering childlike shock that such things could happen in life. Discovering this, and finally putting words to it, allowed those feelings to go. You’ve just bumped into your ex and you’re feeling highly emotional. Half of you wants to cry, half of you would do anything to get rid of those feelings. This is your mind panicking to get rid of emotions it cannot understand. The mind likes to understand things but can never understand the heart. Hearts have no logic. So, abandon trying to comprehend what happened or why. After all, at this stage, is there anything your ex could say or do that would change how you feel? Befriend the part of you that gets emotional. Don’t beat it up. It’s normal and healthy to feel how you feel. You’re alive! Besides, emotion shows you have a heart and would not wish the same sorrow on others. This aspect of your personality is to be treasured. Wouldn’t you love it in anyone else? 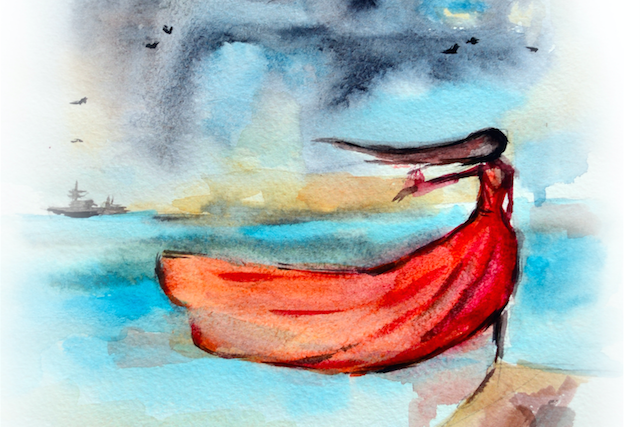 So, instead of trying to quash emotion, ask “Is it possible for me to feel like this and still be okay?” Because your heart is stronger than you know; it is designed to handle being broken. It also doesn’t mean that they’re good for you. Face this reality squarely. You can have a happy life, even with great sorrow in your heart, even while carrying loss. Physically, your body is probably keeping going just fine and it’s only your mind that has the problem. Its idea that “things should have been different” conflicts with what actually happened, so it wedges your mental wounds open. That causes the turmoil. Give in. Admit: “This is exactly how it should have been. This is exactly how it is.” Shrug while saying it. Facing the truth is difficult. As a result, life may feel more painful, yet perhaps also more peaceful, because conflict with it is reduced. Author A.S.Byatt has occasionally spoken about the longevity of bereavement. She lost her son forty years ago. He was eleven. You see, winter trickles into the beginnings of spring. It’s okay to try loving a new person while still loving your ex. The heart can simultaneously run along multiple tracks. The woman described how free she would feel, how relieved that it was behind her, how keen she would be to get on with life, how confident and unafraid she would be if she happened to meet her ex. The woman’s life transformed instantly. For her, it was about making a decision to move on. If it has been a while since your relationship ended, perhaps this choice is also available to you. Play with the idea. I remember a story about Kylie Minogue that went something like this. She had recently been diagnosed with breast cancer and her boyfriend sometimes found her crying on the bathroom floor. This is the attitude to take. It doesn’t matter if sorrow comes again and again, just each time draw a line in the sand. And beyond that line make something else happen. People may tell you it’s time you got over your relationship. 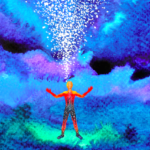 Like with bereavement, you don’t ever have to “get over” it, but you may need to more forcibly move yourself on, and if you’re stuck, to take a new approach to doing so. Hurtful experiences, ones that emotionally and logistically reset our lives, leave us with two choices: open up more or close down. The braver choice—the one that will allow new things to enter your life—is to open up. So how about setting aside a few weeks to unfold this a little more? If you can’t climb out, dig out. Book yourself a few sessions with a counselor whether or not you feel like it or think it will help. Go in, sit down, see what happens. Give your heart the chance to say everything it wants regarding the relationship and whatever is entwined with it. What emerges may surprise you. Give yourself a new and different opportunity to leave it behind. JR Hughes (Josephine) is an Irish writer who has recently moved to Ibiza, Spain for the warmth. She is working on three novels and hopes to secure a publishing deal soon. You can follow her progress and some of her random thoughts and photos at http://www.facebook.com/JRHughesWriter.